Firstly, it's just that - political point pulling - right now, world wide, there seems to be a shift towards nationalism and Oz is no different. But, like in any other true democracy, the winds of change come and go and so do the politics. In Oz they come and go very quickly - 5 PMs in the last 5 years. Morrison won't last long. Secondly, the reality is that the so called cut is not nearly as bad as people are making it out to be. 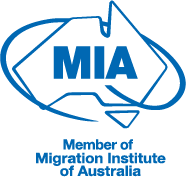 The new population plan includes 23,000 new visas for skilled workers who are willing to migrate to regional areas, a significant jump from 8,534 last year, along with a cut to the permanent migration program. The carrot is that if these skilled workers stay in regional cities and towns for three years they will be eligible for permanent residency. IMPORTANTLY - All of Australia will be defined as 'regional' except the metropolitan areas of Sydney, Melbourne, Brisbane (and the Gold Coast) and Perth. So that includes all of Adelaide - just voted the 10th most livable city in the world. In my view still heaps better than living in a third world country. Thirdly, the announcement of a target of 160,000, a 30,000 cut from 190,000, over the next four years is really no change to current immigration policy: last year 162,000 permanent immigrants arrived in Australia. Really not that big a deal at all.